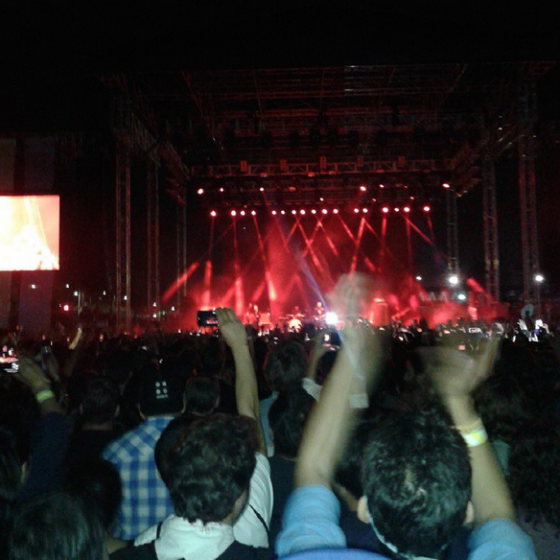 We’re in a tightly packed crowd, pretty far back, for the closing set of FYF 2014 by headliners the Strokes. They’ve just finished, but we just know they’re coming back for an encore. People are starting to stream out though, and amidst the chaos, some guy shoves another guy, the other guy shoves back, the crowd parts around them. It’s gonna get real. But then, the Strokes (off in the distance) launch into “New York City Cops” (which is poignant already for its 9/11-related history and what’s happening currently with the NYPD) and my cousin Jono (who incidentally just won an Emmy) launches into the middle of the two guys and starts *boogying down*. The tough guys that were about to fight each other look confused for a moment and then go their separate ways. The rest of the crowd swarms in around Jono and we all dance and sing and shout along to the chorus. Anger diffused by dancing. Violence prevented by party. What’s this got to do with the Mission? Whhhhy thank you. I’ll be on my merry way. Jono’s a Mission resident and a hero, that’s what! It’s about being ‘cool’ in the face of adversity – isn’t that what the mission is about!? !